The Bottlebrush Tree, Callistemon, originates in Australia, but is now widely spread. 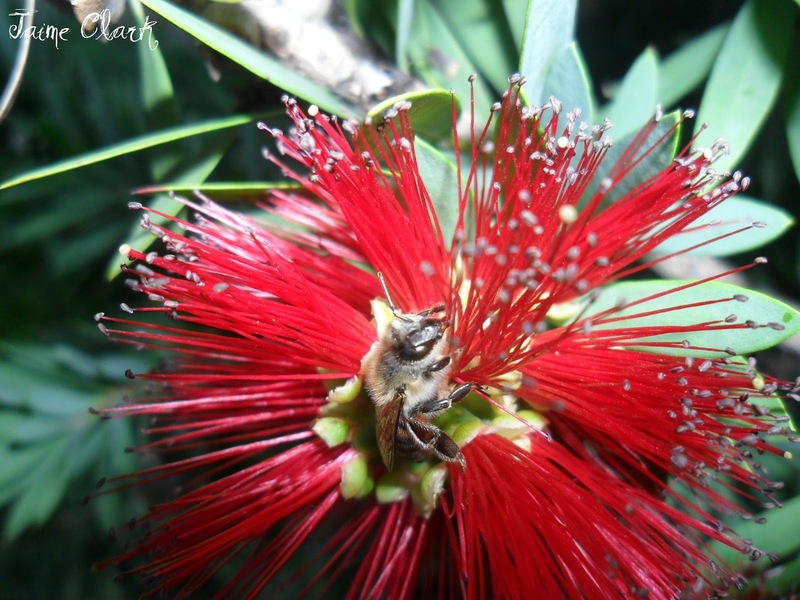 These photos show the bees feeding on the nectar and pollen of the Dwarf Bottlebrush, known as a Little John, in my South African garden. 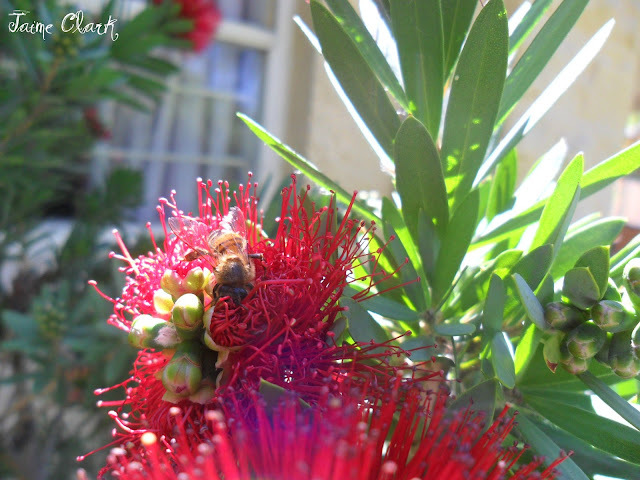 Love the bottlebrush and the bee. I´m hosting a meme called NF Winged. Maybe you like to join? 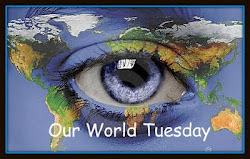 It runs thursday evenings. 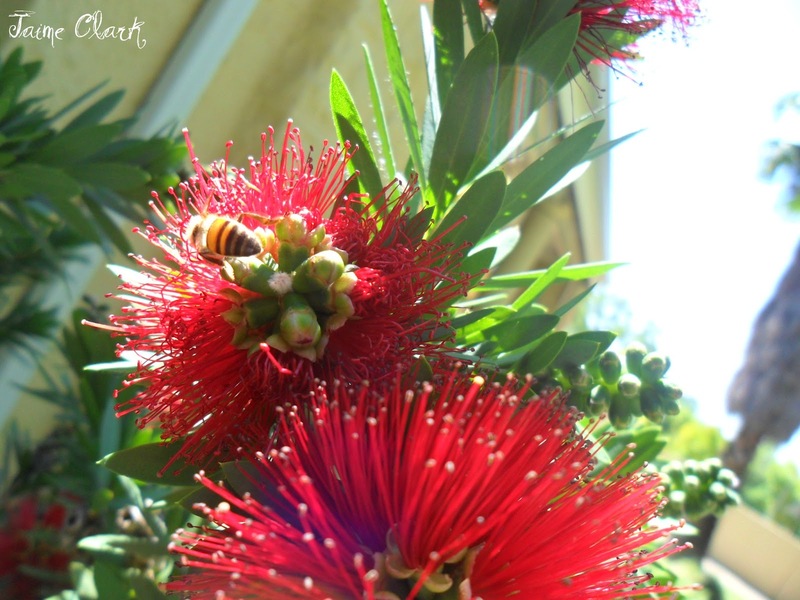 I love the bees in the bottlebrush. Insect are exciting to photograph! Have a good weekend! 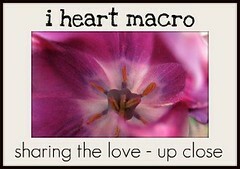 What lovely photos of this exquisite flower and the bees! Have a Happy Easter!